As an early adopter of RFID technology, AB&R has the scraped knees and elbows from almost 40 years of on-site experience in industries such as manufacturing, transportation & logistics, and distribution centers. We want you to learn from our mistakes and see the value of solutions that transform businesses with the ability to identify, track, and manage assets and inventory. Improvements in productivity and operations realized across your entire supply chain. Episode 1: The ZC10L and AB&R®’s RFID enhancement and its impact on connecting the supply chain. In this episode, Ted Morgan, Vice President of Strategic Development for AB&R, discusses a breakthrough in event admissions and attendee tracking. Ted talks about AB&R’s collaboration with Zebra to add radio frequency identification (RFID) capabilities to Zebra’s large-format ID card printer. 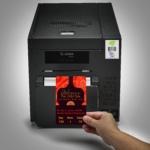 By printing RFID-enabled ID cards, event organizers and companies can verify attendee or employee identities, control access to restricted areas, and even track the movement of people for greater security and analytical insights. Radio frequency identification (RFID) is rapidly gaining ground as a crucial technology that automatically and precisely locates and tracks assets, inventory, processes, and people as they move through the supply chain. In this episode, AB&R principal solution architect, Mark Steger, provides a complete introduction to RFID, how it works, how it enables real-time tracking and vastly improves efficiency in the supply chain, and how RFID is up to 10 times cheaper than using standard barcodes. 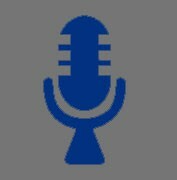 Have comments or suggestions for The Connected Supply Chain Podcast or the host Gary Randall, the Supply Chain Guy?